Wai Wai World 2: SOS!! Ghosts have always surrounded me. The things that never leave me, that rattle my bones and give my arms goosebumps, are the stories that were breathed out by my ancestors. The dead come back to life and live again through storytelling. I grew up in a household that loved to tell tales of banshees, specters, demons, and other spooks. I will be the first to admit that my family is a bit crazy, and with a little drink in them, a lot crazy, but these stories went deeper than a bottle of Guinness. The Irish are famous for their superstitions, and my family is no different; if someone accidentally dropped a comb, everyone immediately stopped what they were doing to take turns stepping on it. But why? What possessed them to do such a thing? Part of the answer hung above the fireplace in my childhood home: an ancient-looking crucifix made of straw called St. Brigid’s Cross. The relic harkens back to the early days of Christianity in Ireland after pagan druidism, before St. Patrick came and drove those snakes to the sea. Ghosts are and will always be a part of Irish culture, though. The first Halloween was, after all, celebrated in the Emerald Isle. And no matter how hard Old St. Paddy tried, primal curiosity in the darker elements of the world beyond this one has never been completely swept under the rug of Christianity; the tales and superstitions still pass down from generation to generation to this day. My family is living proof that the old ways have not gone away–their remnants still flow through Irish veins. I do not know if I believe in ghosts, but I have certainly grown to believe in the stories, and that might be just as important. Now older, I find the tales less frightening and more fascinating as a kind of universal link that all of humankind shares—since the dawn of man, spiritual folklore has thrived not only in Ireland but in all corners of the world. There is something inherently humanistic in giving face to the unknown, in taking back the power of Death by becoming His storyteller. For that reason, I find ghost stories to be cathartic. They make us face our innermost fears, and by doing so, we release their power and hold over us. Just days before Halloween, I can think of no better time than to recite another ghost story. On March 15, 2005, at 3:16 PM, a New Yorker by the name of Joe Cascron listed a Nintendo Entertainment System on eBay. This was not your average old Nintendo, he claimed. This one was haunted. “I’ve been an eBay seller in the field of vintage games for close to a year. I’ve exchanged hundreds of video game related items, new and used, and still do till this day, but I have never experienced anything like this or even remotely similar. I don’t feel threatened by this, supernatural or whatever it may be, but I do not feel exactly comfortable with it either. 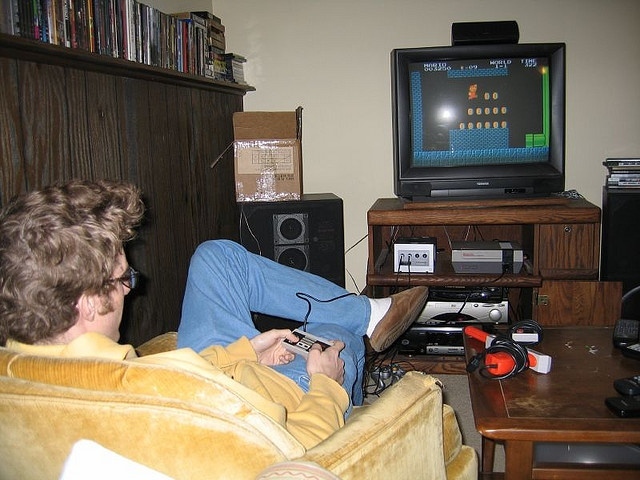 Up for auction is what I would call a haunted, vintage, video game system, the Nintendo NES. I don’t really like using the word ‘haunted’ when describing this, considering the first thing you would think about is something from a horror movie, but I really can’t come up with another way to explain it. “There is a local thrift store here in Brooklyn, NYC that I’ve been doing business with for some years now. 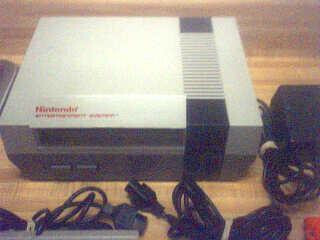 About a month and a half ago, I made one of my visits to the shop and found this ’80s Nintendo system. When I purchased this unit, I asked the owner of the shop about who brought the system in, and what he actually told me was that a gentleman had donated it that same morning and said ‘It was just sitting in his attic,’ and according to him, it supposedly belonged to his son who passed away years ago. At first I thought the guy was just joking with me like he usually does, so I really didn’t think much about it at the time. 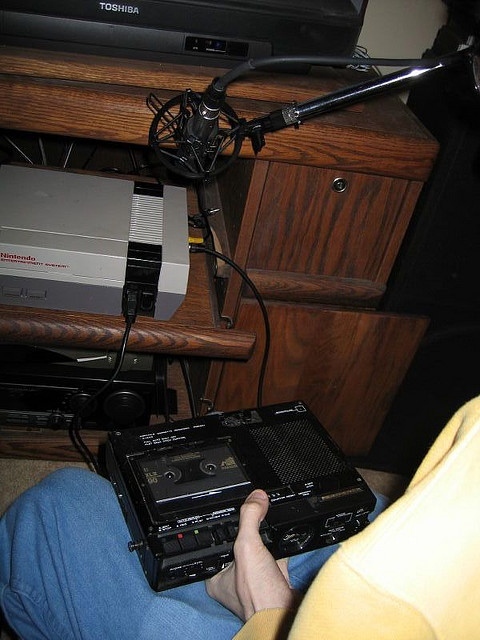 “I brought this system home, and on the first night of playing, about ten minutes into the game, I began hearing sounds similar to human voices, mumbling to the background music of the television. Naturally I thought it may have been static or something to that effect, or maybe it somehow interfered with a truck driver’s CB radio system, so I didn’t pay much attention to it. But it continued throughout the entire time I was playing; stop for a minute or two, then start again. It got to the point where I went really close to the TV, I paused the game to try to hear it a little better, but then it would get silent. When I would un-pause it, there it would go again. I know it sounded like there was a conversation going on but I couldn’t make out any of the words. “I have my beliefs but I’ve never really been one into believing so much about spirits and crossover-communication, but repeating the conversation I had with the guy in the shop wasn’t helping at all. And until this day, I go back there and this man still sticks to the same exact story. To my knowledge, there is no technical problem with any vintage Nintendo gaming system that causes any of these ‘symptoms.’ Since owning this system, I’ve experienced hearing sounds of mumbling and laughing in the background music of different games (all sounding exactly the same and all on numerous occasions). “On three separate occasions, I’ve had the game ‘pause’ by itself, without having my finger anywhere near the Start button of the controller, and the really suspicious thing about it was the fact the timing of the pause always happened to be during an intense moment of a game, as if the intentions were made for me to lose. I even tried different controllers, which I’ve sold on eBay, thinking it may have been some type of controller glitch with the originals… and yet still have the same exact things happen. Every time I power this unit on is like getting ready for something new to happen. And not only with me. I’ve invited close friends and family members over, and some, but not all, have witnessed something strange happen, like the one time the ‘arrow icon’ on the main options screen of a game actually moved down to two-player mode, all while the controller was out of my hand. I’ve had some of my friends accuse me of purchasing this unit from a novelty store for the sake of pulling pranks, which I doubt even exists in the first place. It has gotten to the point where my fiance never lets me turn the system on when she’s in the house, and I have friends that refuse to even play a game with me. Even my cat won’t go anywhere near this system, unless she’s five feet away and hesitating to sniff at it, and not only that, she’s been running back and forth through the house in the middle of the night during the past few weeks, and that’s something she’s never done in the entire eight years that I’ve owned her. “I sincerely believe there may be some form of strong connection or attachment between this system and its previous owner. The reason I am listing this… to be honest, it’s starting to freak me out, as well as the people around me. I don’t feel threatened; I just don’t understand it and I’m not exactly comfortable with keeping this in my home. So, at the request of friends and loved ones, I’ll be going my separate ways with this system, regardless if it’s an actual supernatural presence or everyone is just being paranoid. I’ll be putting this unit up for one penny without a reserve price; if you’re the high bidder, the unit and everything with it will be yours. 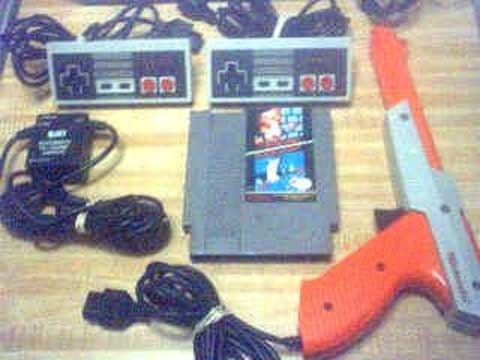 It comes with its two original controllers, the original Zapper gun, a copy of the Super Mario Bros./Duck Hunt game, along with its original AC adapter, which came with black electric tape wrapped around it, but works without any problems, and a Naki RF switch, which is everything needed to power up and play. “Above are photos of the actual ‘haunted’ system and accessories. “The system will come in the exact same condition from when I purchased it. There was some dust, but I cleaned that off. I have it already packaged and will ship the next day from receiving payment. “Unfortunately, I cannot guarantee what you will or will not experience with the system. Obviously, if this is what myself, as well as others, believe it to be, the supernatural is something completely beyond my control. Do not bid if you do not acknowledge and agree with this. “We welcome your questions and we will answer them to the best of our ability. “A very nice person recently e-mailed me and asked if I felt the type of presence with this Nintendo was Evil. Honestly, I don’t believe that it’s Evil; I never really felt any type of negative vibes. I’m not a superstitious person at all, and I consider myself very level headed. If I had to put it in words… when looking at this system, I get a strong ‘feeling’ like it’s actually looking right back at me. It’s a distracting energy of a feeling like I’m not alone, but not in a way that I feel I’m in some kind of harm or danger. “This just in, someone just brought to my attention that in the first photo of the Nintendo console, it looks like there’s a form of a portion of a face in the photo. It was pointed out to me right in the center of the Nintendo where the cartridge slot is, and below it, is a shading; it somewhat resembles an eye and a mouth. What do you think? I’m not exactly sure, so I’m not making any definite claims, but I’m getting more chills thinking about it. These photos have come out not-so-crisp, but they haven’t been altered in any way. 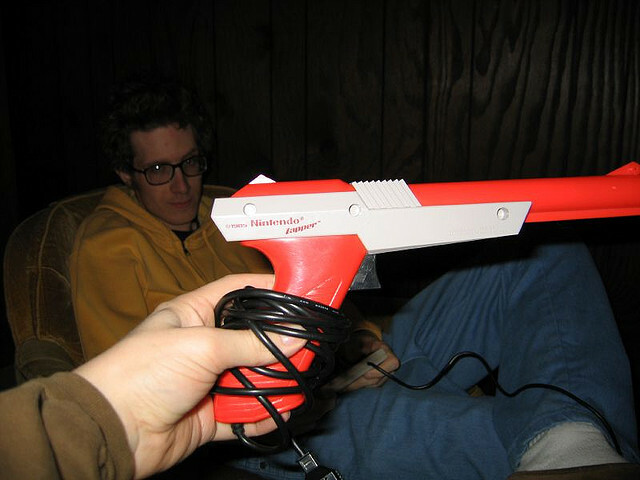 A man in Minnesota named Jerry Belich purchased the alleged haunted Nintendo for $225.53. 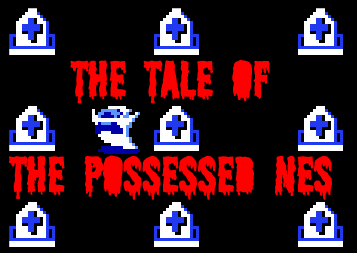 He started a blog called The Case of the Haunted NES to document his investigation online. After a short introductory post on March 23rd, Jerry updated again two days later. “We will begin documenting over the next few days, see what we can get out of it,” he wrote. “After we are sure we have enough data from use, both feelings and observable phenomena, and then we will carefully examine the actual components (both internal and external) for decay/damage. On, of all days, the first of April, Jerry posted another update. The next day, Jerry detailed some of his initial findings. “I didn’t want to really talk specifics until we were more or less finished working with it, but an e-mail from one of you prompted me to not be so tight-lipped about it. So, here. “There has been some odd intermittent flickering (haven’t opened it up yet so the quality of the connections may be to blame?) as well as the occasional ‘stutter’ (freeze for a moment then continue, sometimes disrupting play). Also, twice while playing last, the character moved back left on its own at just the wrong time to take a life. The controller itself may have issues, and I tried it briefly with the other one and it hasn’t happened again yet. “I’m holding back on the audio until we know what we’re looking at. Because of the specific frequencies of sound the NES systems use, they are pretty easy to pick out in a spectral graph so we can look at what else is in there. This would be his last significant post. Updates halted when the Nintendo traveled across country to the Ziff Davis offices in San Francisco. Jerry had agreed to loan out the system for an article to be written. The blog’s final post came on April 25th. Three days earlier, a writer at Electronic Gaming Monthly named Jimmy Lee received the system from FedEx. He proceeded to poke fun at Jerry in a mocking write-up, posted on 1Up.com, going as far as to reportedly take the console to a psychic and pay to have the supposed spirit cleansed. “I just hope Jerry won’t be too pissed when he finds out that I released the ghost,” the reporter wrote (link). After the piece ran, anonymous commenters began flooding Jerry’s blog with insulting remarks. Jerry replied, “No, you’d evidently feel embarrassed. I decided to embark on a research project for the joy of it, despite the slim chance of finding hard evidence of the paranormal. Jerry’s last activity on the blog was in response to another unkind message. And so concluded the case. Some might say that this ghost story ended in the same way that it began, as a joke. Others might see things differently. They might say that the unexplained is not at all a laughing matter. One such person is Mark A. Keyes, the director of The Pennsylvania Paranormal Association and the host of Paranormal Science Radio on WILK-FM News Radio, which serves the Scranton and Wilkes-Barre area. A full-time criminal investigator by day, and a ghost hunter by night, he has appeared regularly on Animal Planet’s The Haunted television series. Does he think a Nintendo could be possessed? But could an “energetically connected” item be potentially dangerous? Keyes believes that paranormal entities can not only attach to certain objects but also settle down to occupy other places. What about people who say that any attempt to communicate with a spirit is like opening up a doorway to the unknown? The most pressing issue here is, if Jerry were to remove the system from his home, would he be free from anything that he may have released? Keyes left me with the personal cell phone number of John Zaffis, a demonologist and a researcher in the field who specializes in removing haunted items, should Jerry ever require his pro bono services. Zaffis is the nephew of Ed and Lorraine Warren, the original Amityville investigators. Get rid of your Nintendo? Now there’s a scary thought. UPDATE: A decade after the events described above, I headed out in search of answers, to finally put the story of the purportedly haunted Nintendo to rest. 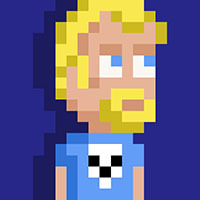 I tracked down Jerry Belich, who is an independent game designer, through his site, jerrytron.com, and he agreed to an interview. When I reached out to him, he was too busy getting ready for his wedding than to talk ghosts. He said he’d catch up to me later, which he did on November 14th, 2015, just narrowly escaping the dreaded Friday the 13th. If you’ll excuse the pun, what possessed you to buy a reportedly haunted Nintendo in the first place? Were you always interested in the paranormal, or did you have any unexplained encounters beforehand? Yeah, I’ve always been interested. I’m fascinated by anything scary, whether that is corporeal or not. My parents took me to Europe a few times when I was a kid, and the stories they tell me involve running straight into the darkest parts of any castles we visited to find ghosts, and a fascination for taxidermy where animals were combined in bizarre ways; if that tells you anything. I hadn’t had any direct encounters growing up, at least nothing that couldn’t be reasonably explained. I did hear a lot of stories from other people I was connected with, which got my imagination running. Two stories in particular have stuck with me. One involving a friend’s aunt, and another that happened within a couple years prior to buying the NES to a very close friend while she was in Japan teaching English. The story about my friend’s aunt is simple enough. She was walking through the living room in her apartment, which had two big sliding doors made entirely of mirrors. She glanced at the mirror, saw a figure standing behind her, turned with a start but saw no one, turned back to the mirror, still saw the figure, and ran the hell out of there. What I love about this story is how much scarier it is that the figure was still there in the mirror, not gone like the horror movie trope. The story about my friend in Japan is much longer… I just sent her a message actually. She’s looking to see if she can find the documentation of her story. It’s pretty intense. Why did you agree to ship the system to the offices of Ziff Davis in San Francisco? What did you expect to come out of that? That’s a more interesting question than you know, so I’ll answer the second part first. What I expected, and what should have come from that experiment are two very different things. I expected them to find a ghost or spirit. What should have happened is nothing at all. I agreed to ship the NES because I sent a fake. I borrowed an NES from my friend Sally. No offense against journalists, but let’s face it, the article was just supposed to be silly entertainment. I didn’t want to risk the NES, and frankly, I assumed they would find a ghost and prove to me that sending it would have been pointless. That is exactly what happened. What did you make of the eventual article that was written on 1UP? At one point, the author claimed to have had a psychic exorcise the Nintendo in exchange for $45. As you can probably guess from my previous answer, the psychic was obviously a charlatan. The article was amusing, but also proof of the biases we all have to be wary of, especially when it comes to fields of study that are by their very nature difficult to examine. I’m dying to know what happened next, since the blog that you were keeping stopped being updated shortly thereafter. Did you continue your experiments? Did anything unusual ever occur? Not actively, and a few things did happen. I was studying the NES with a friend of mine, but we both ended up getting quite busy with work. Not long after he ended up having to move away for work, which took the research from a crawl to almost completely stalled. Obviously the project wasn’t something financially useful, and without a partner motivation dropped. A number of odd things occurred over time, but I wasn’t actively monitoring the NES, I was actually playing it for fun, so I don’t have much to show for it. That said, here are a few things that did happen. One type of observable phenomenon were different kinds of game glitches. This only seemed to happen with Contra (primarily) and Super Mario Bros., and not all the time. Of course, I played those games more than others, so… In Contra there were a few occasions involving glitched auto-scrolling, meaning the player was sliding forward without walking. There are points in the game where scrolling happens naturally in the course of play, but certainly not on the first sets of levels. Color palette corruption would occur, and once it was switching weapons periodically, without picking up a new weapon style. After looking deeper into this, it may reveal issues with the on board 2k RAM chip. Why it will work fine sometimes, and for most games, I’m not sure, but a bad RAM chip may account for this. The other story that comes to mind, is probably my favorite in terms of how it can be interpreted. I was playing Super Mario Bros. and I got to the dark world. Is that World 4? Where the background is just black? Whatever. I remember just because that color palette always struck me as weird and creepy. Anyway. I was playing and my thumb starting slipping a bit on the controller buttons. Then I noticed I was bleeding, and the buttons were getting sticky from my blood. I stopped of course, and there was a cut on my thumb that I didn’t notice getting. What’s funny to me is, in a horror movie it would be exactly that sort of stupid little clue that the writers would put in to foreshadow the terror to come. That was the first thing that popped into my head. Playing a haunted NES and he started bleeding. Now, in reality is that really so strange? I find random bruises and cuts that I don’t remember getting at a regular enough frequency to pass this off as just a coincidence. It’s not like that happens to me every day, or week or anything, but it does happen. So how do you decide if moments like these mean something? Anyway, those are what come to mind. Do you still have the audio recordings that you made? I’m sure that budding ghost researchers would be curious to give them a listen. My friend had all the audio recordings. No clue if he still does, but considering that cloud backups weren’t really a thing back then, I’m not very hopeful. Where is the Nintendo currently? I spoke to an actual paranormal investigator about your story, and he warned me that you have no control over who might come through from the other side when you start communicating with a spirit. He was concerned enough that he left me the contact information of John Zaffis. Zaffis collects haunted objects from people who are experiencing supernatural events. I kept his phone number, for your sake, just in case. Please tell me that you don’t need it. I find this at least a bit funny, because there is no such thing as an expert in paranormal phenomenon in my opinion. Everyone is a novice, and will stay that way without proper study. Could it be dangerous? Maybe, but I don’t like maybe. If we ever want to actually understand the science behind the paranormal, we can’t run away every time it gets too real. I’d be more scared when someone finds out how they can control what manifests in our corporeal space. I also think it’s funny that everyone assumes that spirits or ghosts are essentially just like people, but, you know, dead. The conservation of energy tells us that energy is never lost, simply distributed. How can we say what form that energy takes? I don’t think it is necessarily a given that a spirit is aware, or a partially aware reflection of a formerly living thing. Take that away, and the perspective on how we should approach understanding paranormal phenomena looks a lot different. You mentioned to me earlier that you talked about this recently at a game festival. Do you tell this story often? How do people react? Not really. It had been quite a while since I had really thought about it. It was an anecdote I told because of tangentially related conversation about console systems like the NES, and people generally find it humorous. You were successful in Kickstarting a project called The Choosatron, which is essentially an interactive Choose Your Own Adventure game that prints out stories like receipts. You also turned a toy kitchen playset into an electronic game, complete with sensors and light signals. You even made a shooting game out of dialing a rotary phone. Have you ever thought about designing a playable ghost story? Maybe modify an existing electronic device to simulate in-game ghostly effects? Most definitely. I love interactive fiction ghost stories, and I’m happy that numerous authors have contributed ghost stories to the Choosatron project. This is purely coincidental, but I’m working on a new game right now that hits very close to this idea, involving television, analogue interference, and white noise. If you could go back in time, would you still have purchased the Nintendo? Was the experience, or perhaps, more importantly, the story, worth the price of admission in the end? Definitely worth it. I wish I could have given it the attention it deserved, so in that sense, maybe someone else should have gotten it. I enjoyed investigating it while I was able, and the weird occurrences, along with the entire situation, make for great stories as well as raise a lot of questions about how the universe really works. For people that scoff at the money, it was disposable income, and for a little while a fun hobby. I have to say, I am a skeptic when it comes to the paranormal, but I love a good ghost story, and yours certainly did not disappoint. Thanks for your time, Jerry! I am too. I think it’s important to be a skeptic, but let’s face it, we all love a good ghost story!